I've been a bit off the radar lately--but don't worry, all is well and I'm still busy as ever crocheting, creating, and dreaming. As you might know, I'm a color-crazed designer myself. But you may not know how in love with motifs I am. 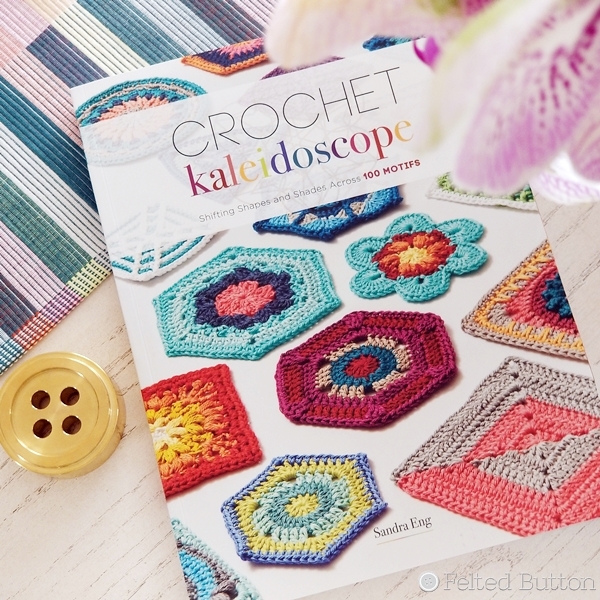 This book ticks both boxes--color and motifs! 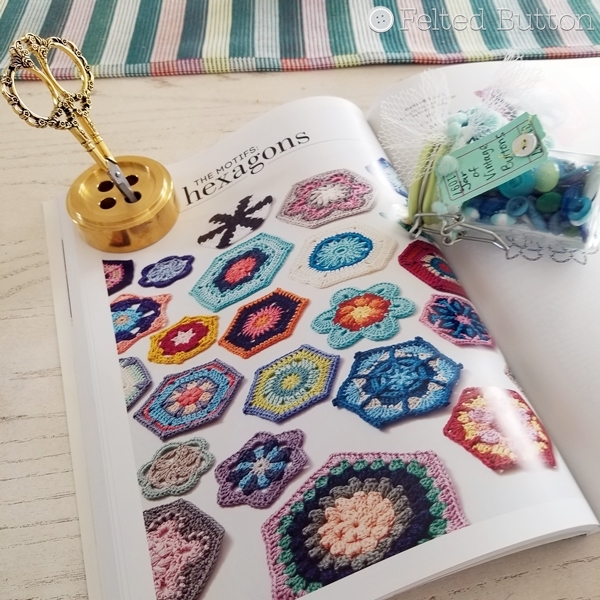 Sandra has not only included 100 uniquely creative motifs in circles, squares, hexagons, triangles and other shapes, but she's added five projects to make using a few of those motifs--a shawl, a table runner, a rug, this cushion, and a blanket! Can I just say that they are all incredible?! This is one project, clevery named "The Solstice Pillow" that I'm planning on getting my hooks into first. I love the colorplay options and the graphic nature of the color-blocked circles in a square. Really, really cool! And I always love cushions! But the beauty of this book is that you can use these motifs in so many different ways--combining and playing to your heart's content. If you are one who struggles a bit with your color choices, or maybe you just lack the confidence to reach outside your "typical go-to" colors, then Sandra provides a lovely section that teaches some color theory and helps you with your color selection--it might even make you feel brave! Last year I had the opportunity to test an overlay motif for Sandra and was stunned at how clearly and simply she wrote her pattern. 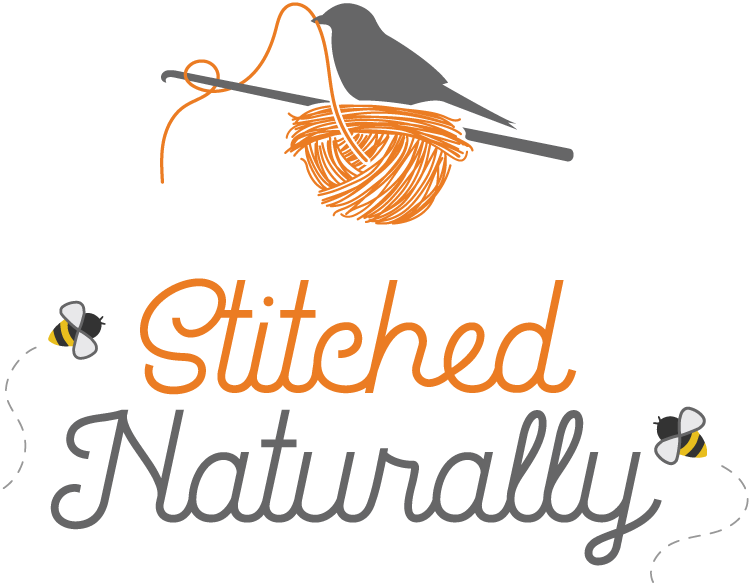 And, if you've ever tried overlay crochet before, you might know that explaining stitch placement in overlay can be challenging. She handles it masterfully. 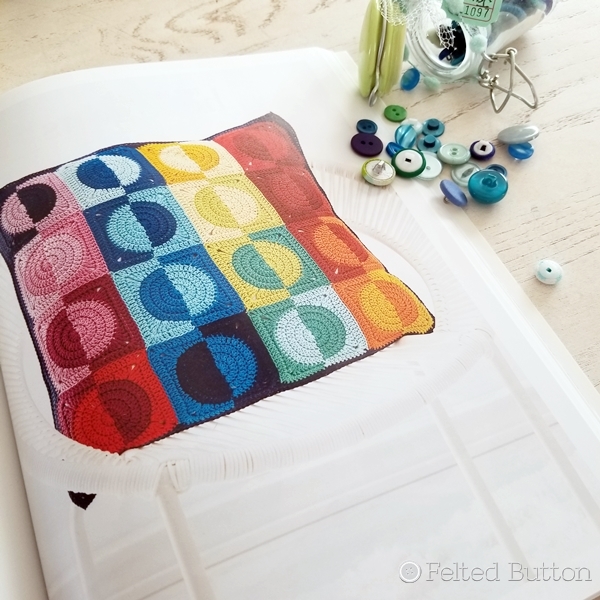 She's also included some motifs using basic overlay techniques in this book. 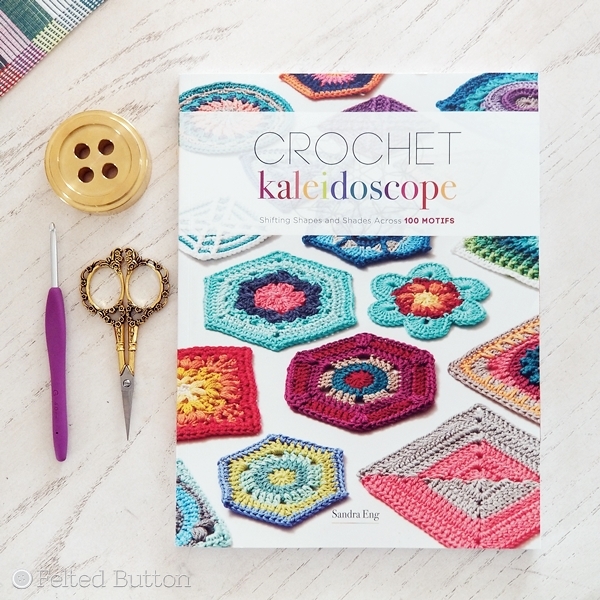 I can honestly say that this book inspires me to want to create with yarn! I love that the pages are vibrant, crisp and with enough white space that the text isn't crowded. Yep. I LOVE this book! 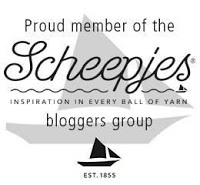 *This post contains an affiliate link if which used by you costs you no more, but pays me a small commission which supports my blog and ability to provide free crochet patterns.